Jennifer Potter is the Senior Account Executive for Specialized Property Management. Though she joined the team in an official capacity in 2016, Ms. Potter has been working with the company since 2012. She has over 20 years of experience in project management, with a focus on technology implementation. Ms. Potter is primarily responsible for broad-based project implementation and technology initiatives. In addition, she manages the Customer Relationship Management system as well as Human Resources. 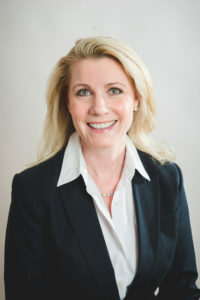 Prior to joining the company, Ms. Potter worked as Vice President of National Accounts for the largest property management company in the U.S. She was responsible for overseeing the management of single family homes for large financial institutions such as Freddie Mac, Fannie Mae, Wells Fargo, Chase, and HSBC, totaling over 19,000 homes in aggregate across all fifty states. Ms. Potter led the team responsible for coordinating the full life-cycle of National Account properties. This included: assignment; property/tenant assessment; leasing; expense reimbursement; repair coordination; tenant move-out; and eviction. The team provided nationwide coverage, working with local property management companies to ensure contractual service levels were met and key performance goals were achieved. She was additionally responsible for all reporting and escalations to National Account contacts, as well as involvement in contractual negotiations. Ms. Potter oversaw the restructuring of the National Accounts department, identifying Key Performance Indicators (KPIs), and organizing the department to be optimally efficient in meeting success requirements. Prior to her experience in the property management industry, Ms. Potter spent eleven years in the banking industry managing customer service, call center operations, and internet/online banking project implementations. Ms. Potter received her Bachelor of Arts degree from Southern Methodist University, majoring in Foreign Languages (Spanish, French, and Italian), with Minors in Latin American Studies and History. In her spare time, she enjoys baking, exercising, and spending time with her family. Ms. Potter is also committed to her community, volunteering with the National Charities League (NCL), and in activities with her children. We provide superior property management services to property owners in Orlando and the surrounding areas, including Deltona, Deland, Debary, Daytona, New Smyrna, Orange City, Port Orange, Sanford, Lake Mary, Winter Springs, Altamonte Springs, Longwood, Maitland, Casselberry, Oviedo, Apopka, Winter Park, Orlando, Mount Dora, Sorrento, Mt Plymouth, Clermont, Tavares, Umatilla, Leesburg, Minneola, Fruitland Park, Eustis, Montverde, Groveland, Orlando, Ocoee, Oak Ridge, Azalea Park, Fairview Shores, Meadow Woods, Orlo Vista, Hunters Creek, Eatonville, Edgewood, Bay Hill, Lake Butler, Gotha, Lockhart, Winter Garden, Doctor Phillips, Oakland, Union Park, Pine Hills, Windermere, Lake Nona, Geneva, Heathrow, Forest City, Fern Park, Chuluota, Wekiwa Springs, Kissimmee, Poinciana, Buenaventura Lakes, Cambpell, St. Cloud, Celebration, Davenport, Haines City, Holy Hill.